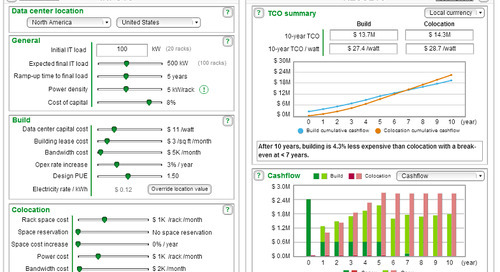 Your Energy Cost Calculator: What If? 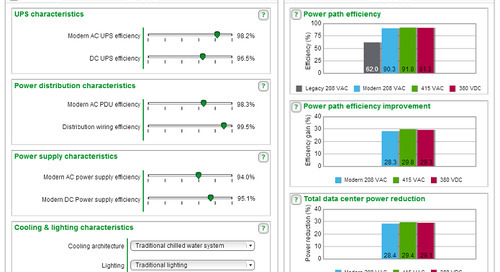 Have you considered calculating the impact on energy and space savings that data center server virtualization could provide? 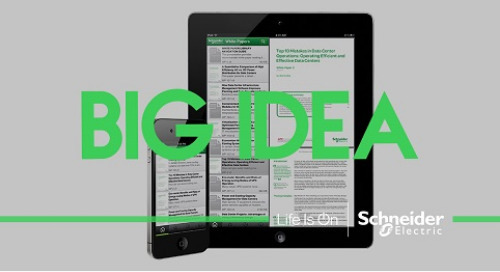 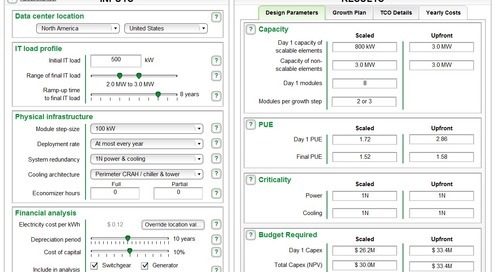 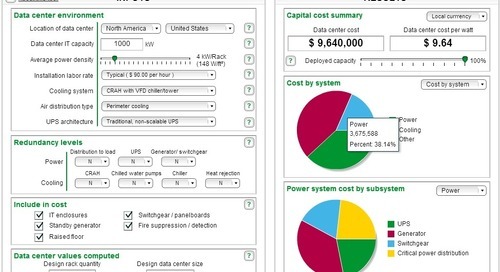 Now you can, by using the Schneider Electric Virtualization Energy Cost Calculator to compare the energy savings from the virtualization of servers. 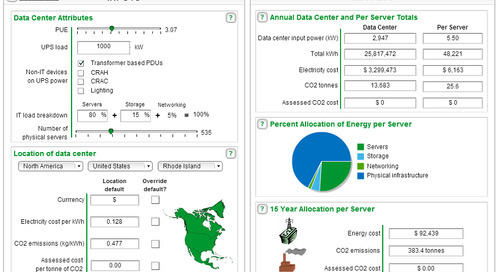 This tool shows the before and after power usage effectiveness (PUE), a breakdown of where the energy savings comes from (i.e. 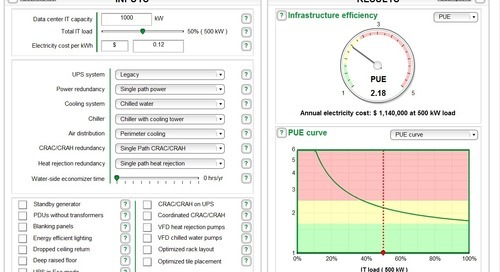 server reduction, power & cooling systems), an estimate of electric bill savings, and the amount of space saved through the project. 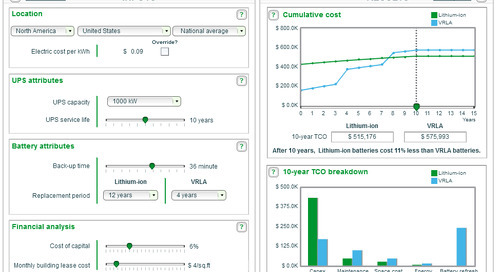 Calculate your savings now. 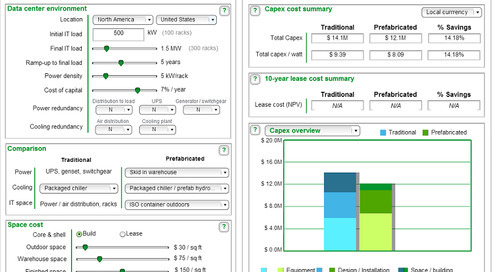 Access the Virtualization Energy Cost Calculator. 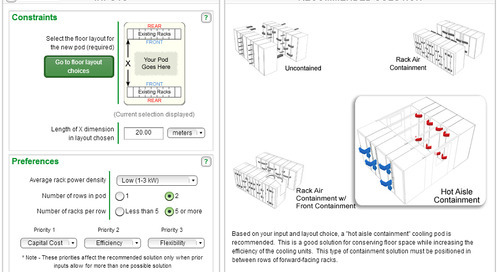 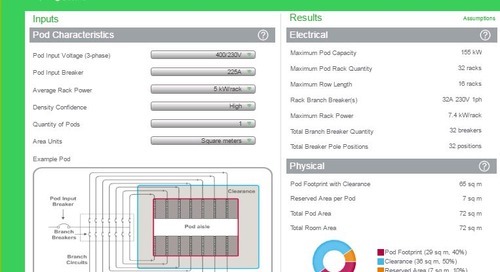 This calculator helps you determine electrical & physical attributes of a pod based on input voltage, input breaker size, and rack density. 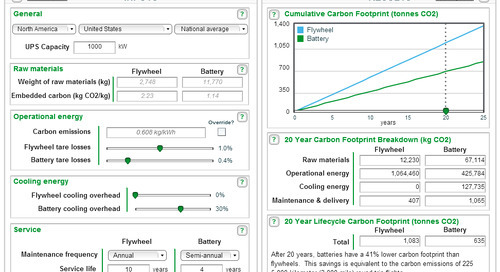 This tool measures the impact of data center attributes on carbon footprint of flywwheels vs. VRLA batteries for energy storage of static UPSs. 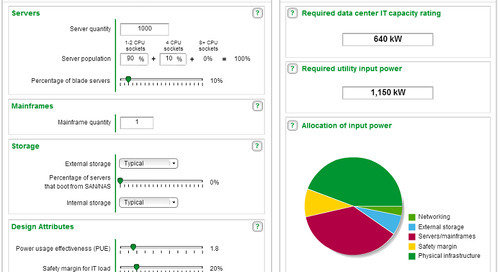 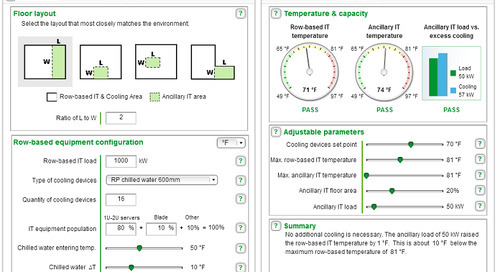 This tool measure the impact on data center efficiency of various AC and DC power distribution architectures. 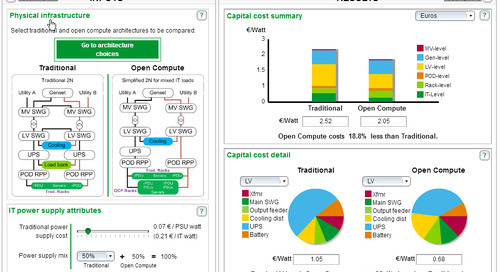 Calculating capital costs of different data center design decisions. 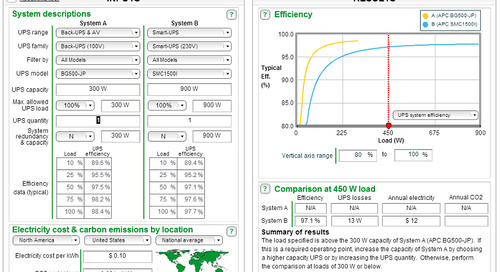 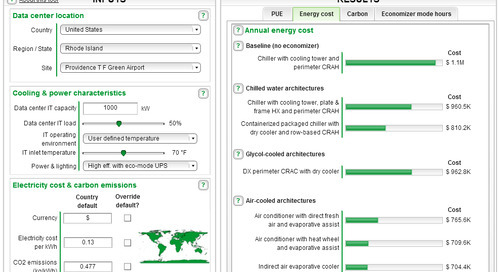 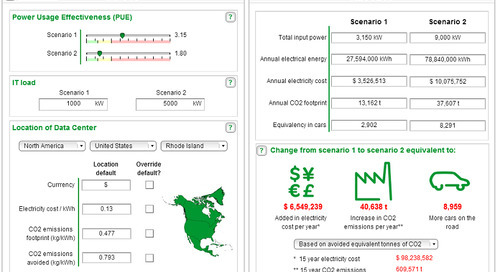 This calculator displays the impact of geography and cooling characteristics on PUE, energy cost, and carbon emissions .